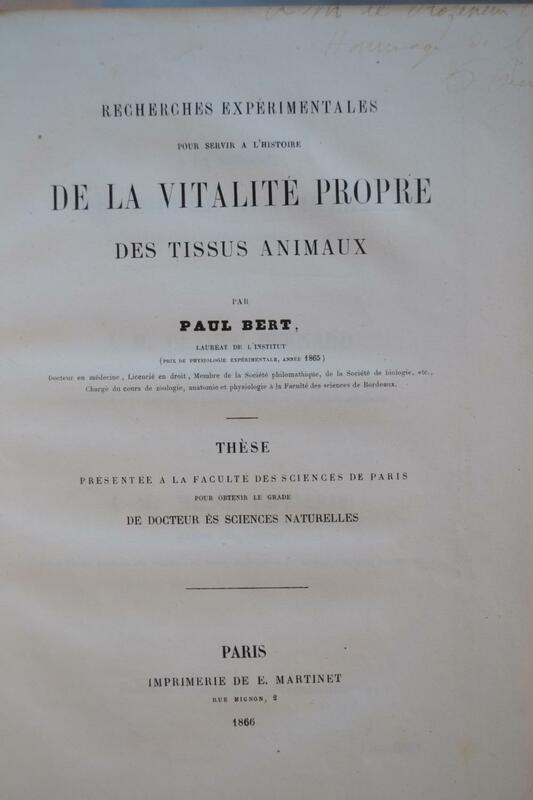 Recherches expérimentales pour servir à l'histoire de la vitalité propre des tissus animaux. 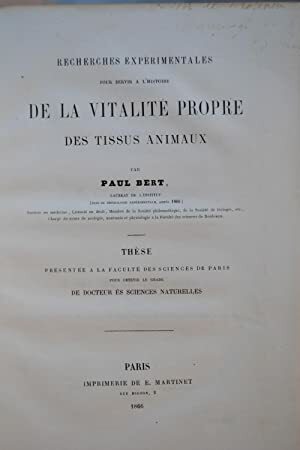 Opening from Monday to Saturday from 10am to 1pm and from 2.30pm to 7pm (Monday and Saturday to 6pm) Established in 1932, Librairie Clavreuil (ex-Librairie Thomas-Scheler) is located between the Sénat, Luxembourg garden and Odéon square, in the heart of Saint-Germain-des-Prés neighborhood, within the famous Quartier Latin. The shop was first run by Lucien Scheler, a friend of Paul Eluard, Picasso and the Surréalistes poets and painters, until 1977 when he sold it to Bernard Clavreuil, his employee since 1962. Bernard Clavreuil belongs to the third generation of a family of antiquarian booksellers established in the Quartier Latin since the end of the 19th century. He has been running the shop at 19 rue de Tournon for over 40 years, which had belung to his grandfather before World War I. Thanks to our relentless pursuit to find rare books in France, Europe, and all over the world, Librairie Clavreuil has become one the leading antiquarian bookshops, where curators and bookmen meet to find the items missing in their collections. Conditions de vente conformes aux usages du Syndicat de la Librairie Ancienne et Moderne et aux règlements de la Ligue Internationale de la Librairie Ancienne.